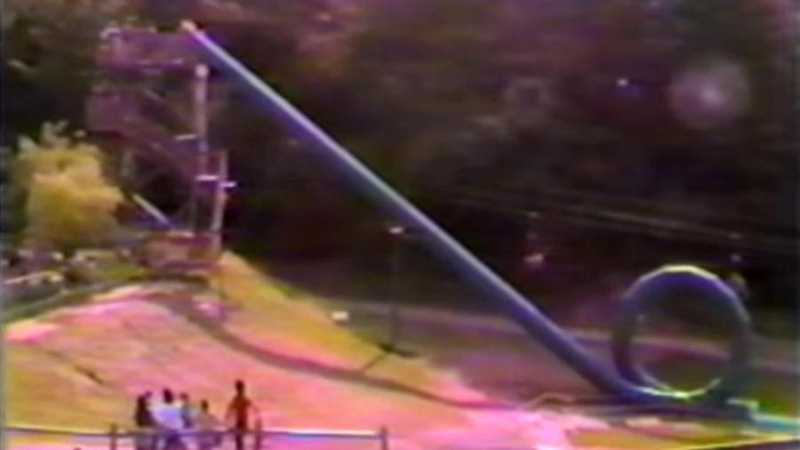 The Cannonball Loop originally opened at New Jersey's Action Park in 1985, but then shuttered after a week amid safety concerns (caution trolling more likely). This image is of a 90-foot prototype in testing in Missouri. 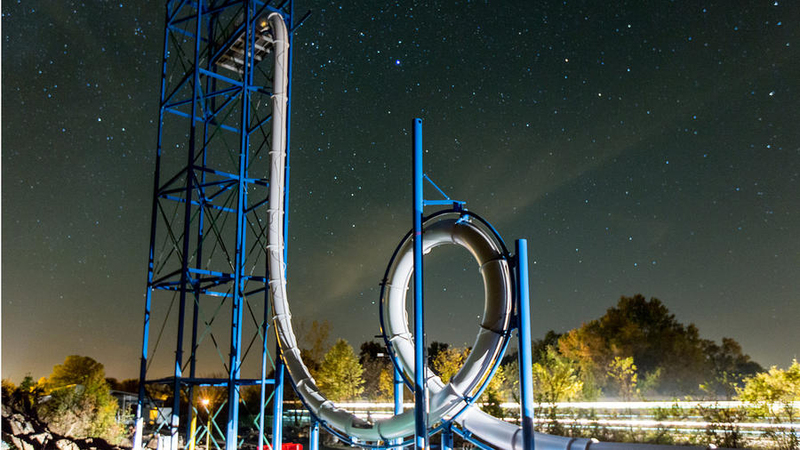 "The central challenge facing any vertical looping water slide design is friction - caused by skin, bathing suits or riders who slow themselves down with their hands or feet. Without enough speed, you won’t make it through the loop. Sky Turtle solved the friction problem by eliminating the human variable. Riders are enclosed inside an aluminum alloy-framed capsule that maintains constant contact with the flume via replaceable foam runners."